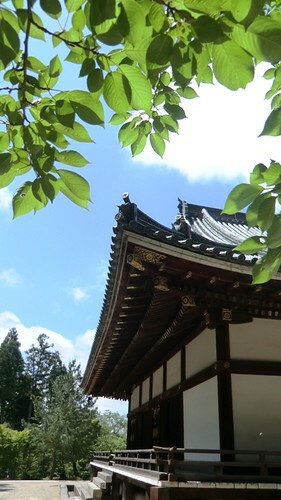 While the flowers were being arranged in Goten for this arrangement, one of the “lanterns” fell off. 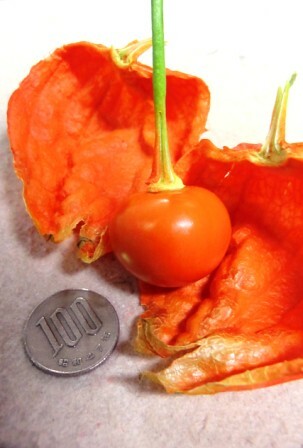 Not being familiar with hōzuki I was surprised to learn that the papery coverings conceal a tomato-like fruit. 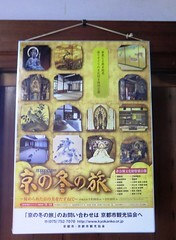 The hōzuki used in the arrangement are rather large, and as you can see the fruit is similar in diameter to a 100 yen coin. I finally managed to find a cicada to post a picture of! 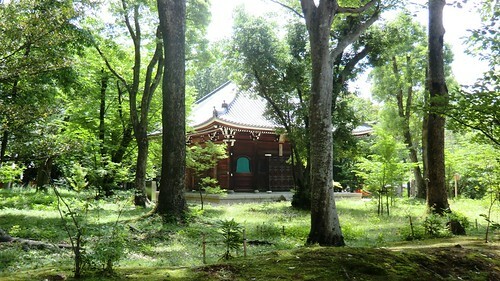 While cicadas are all over the temple grounds, it’s hard to track one down for a picture if there are too many in one place or if they are in really thick trees. Fortunately, this guy was relatively secluded, and more importantly, very loud. 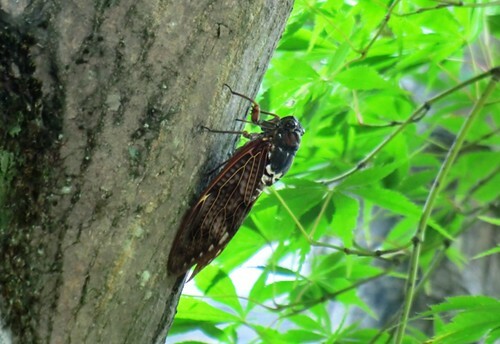 This type of cicada is called aburazemi in Japanese. The general word for cicada is semi and another word is added on like a pre-fix to specify what kind of cicada. 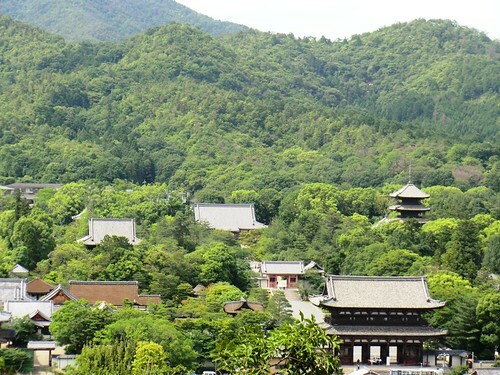 My personal favorite is the minminzemi, I’ve only heard them once so far this summer and I haven’t heard one at Ninna-ji yet. I’ll keep an ear out! Blue and purple hydrangea (“ajisai” in Japanese) have been blooming for a couple of weeks now, I’ve seen a few that have already lost their petals. 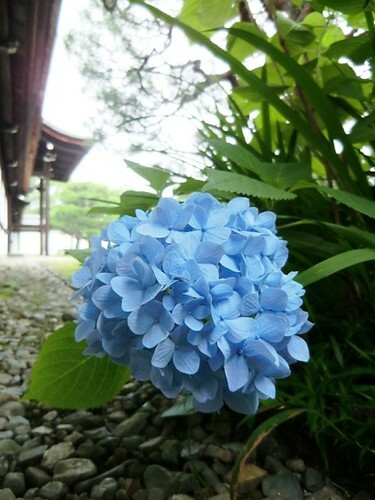 This hydrangea near the entrance to Goten, however, is still going strong and in a particularly beautiful color!